The Count of Monte Cristo was made into a 2002 adventure drama film produced by Roger Birnbaum, Gary Barber, and Jonathan Glickman that was directed by Kevin Reynolds. It follows the general plot of the novel (the main storyline of imprisonment and revenge is preserved); but many aspects, including the relationships between major characters and the ending, have been changed, simplified, or removed; and action scenes have been added. The film met with modest box office success. If you're looking for more sea-fearing adventure, whether or not it's in Paris, check out the suggested titles below. In 1845, young researcher Eliot Saxby is paid to go on an Arctic expedition to find the remains of the by-now-extinct great auk, a large, flightless bird of mythical status, and is trapped on a hunting ship where the crew and passengers are not what they seem. Captain Alatriste is the story of a fictional seventeenth-century Spanish soldier who, after being wounded in battle during the Thirty Years' War, is forced to retire from the army. Now he lives the comparatively tame-though hardly quiet-life of a swordsman-for-hire in Madrid. 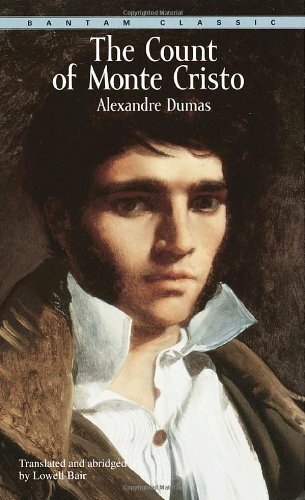 The story of France from the Renaissance to the nineteenth century, as Dumas vibrantly retold it in his numerous enormously popular novels, has long been absent one vital, richly historical era: the Age of Napoleon. But no longer. Now, dynamically, in a tale of family honor and undying vengeance, of high adventure and heroic derring-do, The Last Cavalier fills that gap. Percy Blakeney, leads a double life as an English fop and a swashbuckling rescuer of aristocrats. Embarking on a mission to destroy a French frigate and gather intelligence during the height of the French Revolution, Charles Hayden of the HMS Themis discovers plans for an invasion of England before being captured by a French squadron. Having quick-wittedly survived the battle of Trafalgar, Ethan is rushing to rescue 'Egyptian priestess' Astiza and son Harry from imprisonment by a ruthless mystic who seeks revenge for disfigurement, and an evil dwarf alchemist who experiments with the occult on Prague's Golden Lane. View more suggested for The Count of Monte Cristo.